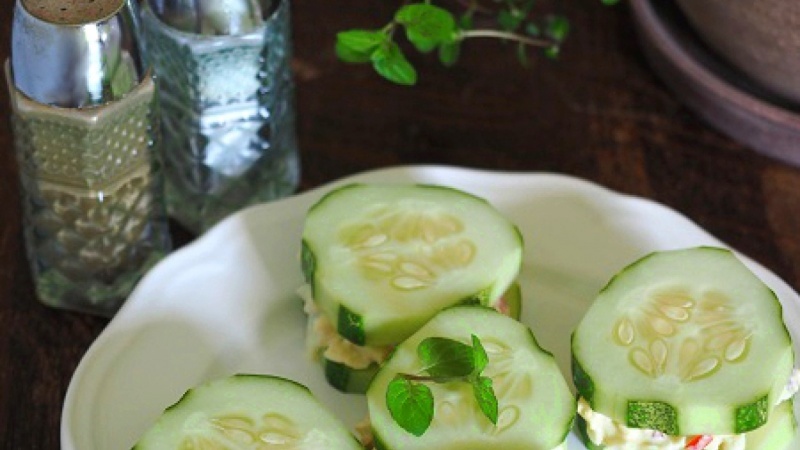 I have an abundance of cucumbers in my garden, so I'm always trying to find ways to use them. Today's lunch was egg salad with cucumbers instead of bread. I took pictures in our guest bedroom that has a north facing window. There's a dresser with dark wood that I thought made a good background. I was going for a rustic look. I used a white bounce board and added the salt and pepper shakers to brighten up the picture. I added put a potted plant in the background to go along with the rustic look. My camera is an olympus omd. I attempted some post-production editing- I use Gimp, but it causes my computer to crash, so I have to save often and not do too much. I increased the saturation on the greens and added some contrast.